John Adams was born in Braintree, Massachusetts, on October 19, 1735. He was raised on a farm by his father and mother, who were named John, and Susanna. By all accounts, he had a very normal childhood. Then, at 16 he enrolled in Harvard. After graduating in 1751, he became the schoolmaster in the town of Worcester, outside of present day Boston. John had no desire to spend the rest of his life working as a schoolmaster. Before long, he became friends with James Putman, a local lawyer, and he began studying to be a lawyer. He soon opened his own practice in Braintree in 1758. In 1762, he became interested in his 3rd cousin Abigail Smith. At the time Abigail was 17 years old, and almost always reading a book. John was surprised that she knew so much. They married in 1746, and settled in Briantree. Over the next 10 years she would give birth to 5 children. Abigail never hesitated to express her political views. Adams notoriety soared, in 1770, when he chose to defend Captain Thomas Preston and the six soldiers who were on trial for the Boston Massacre. The soldiers had been accused of firing unprovoked into a crowd killing and wounding several people. However, Adams gave a brilliant defense, and he painted a different story. John Adams told how the soldiers had been confronted by a mob, causing them to panic, firing their guns into the crowd. The result was the jury found two soldiers guilty of manslaughter, and everyone else was acquitted. In 1774 Adams was a delegate from Massachusetts to the First Continental Congress in Philadelphia. The following year when the Second Continental Congress met the first shots between the Colonists and the British had already been fired. At this time, he actively promoted a complete break from the British. Then in 1776, John Adams served on the committee that created the Declaration of Independence. Then when independence was finally declared John served as a diplomat to the country of France. He would negotiate and sign the Treaty Of Paris in 1782, along with Benjamin Franklin and John Jay. He was then appointed by congress to become the first American minister to London. However, the British did little at the time to improve relations with the United States. 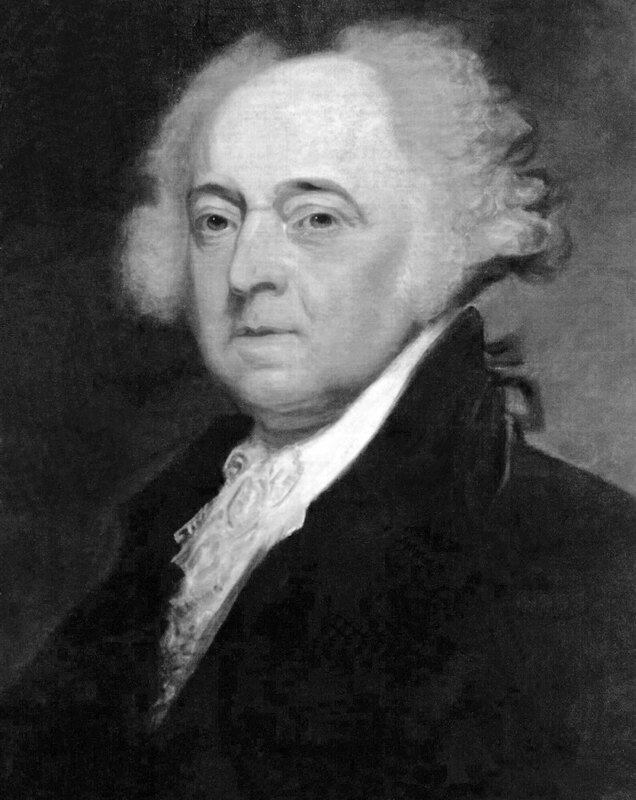 Then in 1789, John Adams returned home and he was chosen by the electoral college to become the nation's first vice-president. He was a big supporter of President George Washington's agenda. In 1796, he won the presidency with just 3 more electoral votes than Thomas Jefferson. Things turned bad when in May of 1797 France declared that the United States was too close to Britain and were no longer neutral. Adams wanted to avoid war with France at all costs. At the same time he did not want to become involved with Britain's distant wars and entanglements. Adams knew that the next presidential election against Jefferson would be close. In the hope of winning re-election, 1799 Adams sent a peace mission to France. He knew that Americans were growing tired of supporting war causes. Then in October, the Treaty of Morfontaine finally ended the French crisis. The following month of November, the Adam's family became the first family to occupy the White House. Adam's lost the election to a second term to Thomas Jefferson.